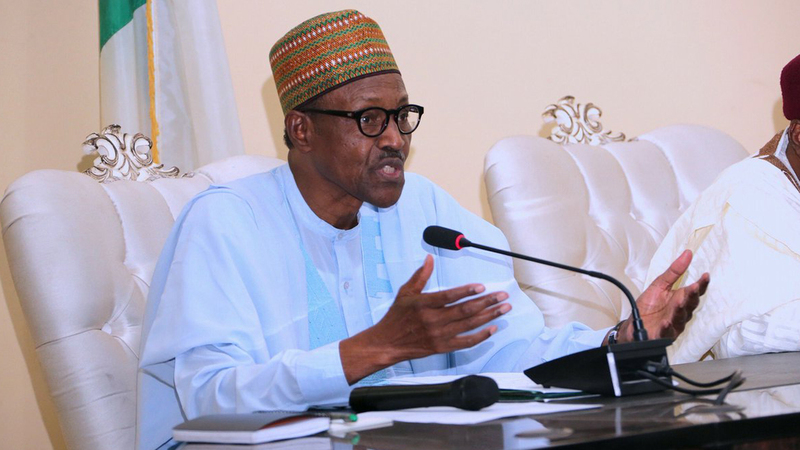 In a statement issued by Garba Shehu, Senior Special Assistant to the President (Media and Publicity), on Saturday, Buhari said he "would like to remind the parents of the school girls of Government Secondary School, Chibok, Borno State that he has still not forgotten their daughters who were kidnapped from their dormitory five years ago (April 14, 2014)". Noting that he promised the parents when he met them at the beginning of his first term as President that he would bring their daughters home, Buhari said he was "aware that the promise he made is the main reason the people of Chibok voted overwhelmingly for him in the February elections, and although his government has so far succeeded in bringing back 107 of the girls", he would not rest "until the remaining are reunited with their families". Buhari assured the parents that his administration was still on the matter, noting that "diverse efforts are being intensified to secure the release of the Chibok Girls, along with all hostages in Boko Haram captivity, including Leah Sharibu who was kidnapped from her school, Science Secondary School, Dapchi, Yobe State, on February 19, 2018." The statement continued: "On Leah Sharibu's abduction, the interlocutors have reported encouraging progress so far. The report reaching us says her return to her family has unfortunately been hindered by the fear of the militants. "They worry that heavy military presence in areas where they previously moved about freely could affect their safety after they return her to the government. At the same time, the military cannot jeopardise the security of the entire north-eastern region by halting their operations to accommodate Boko Haram's fears. "Leah Sharibu will be reunited with her family as soon as any conclusions are reached on a number of options being considered for her safe transportation." Speaking on the activities of the Nigerian Army, he added: "The success of the Nigerian military in subduing Boko Haram is evidenced by the large numbers of militants who have surrendered recently, especially in neighbouring Cameroon and Niger. A similar mass surrender of militants is expected to happen soon in Nigeria. "While Nigerian military operations are ongoing, the government is also engaging with the militants but the talks have been affected by the factionalisation of Boko Haram – with one group adopting a hard line attitude and intensifying attacks on Nigeria, Cameroon and Chad, and another group engaging with the government for peaceful resolution." The President Buhari also used the opportunity of the commemoration of the Chibok tragedy to "commend the girls, now women, who have triumphed over it all", and sent "special greetings to the 106 girls sponsored by the Nigerian government to continue their studies at the American University of Nigeria, Yola". "He encourages them to stay focused on becoming women who will inspire girls in Nigeria and around the world to triumph over the daily battles they face in a world that is often unfair to the girl-child. President Buhari also extends his best wishes to Chibok girls in other schools in Nigeria and around the world. "He sends special congratulations to Kauna Yaga Bitrus, who has excelled beyond expectations in her college in Maine, USA, and who is soon to receive a special 'Against All Odds Award' from her school."